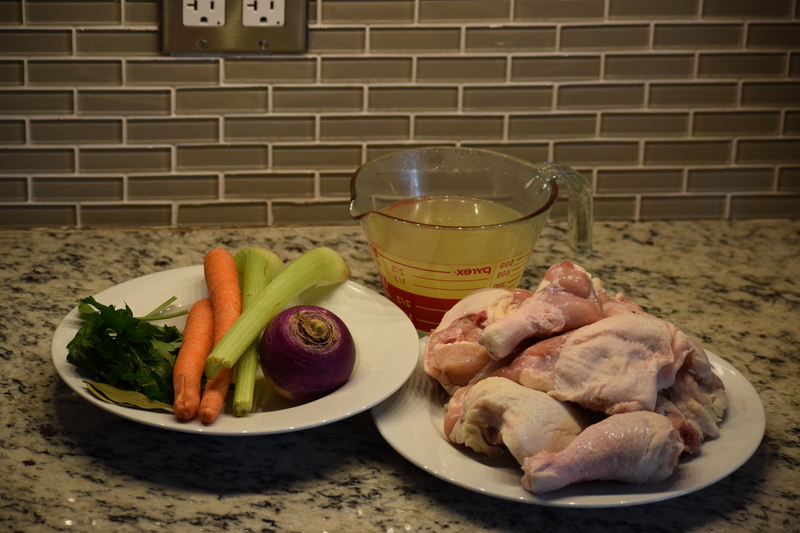 Chicken Soup – The Best Cure for the Common Cold! Well readers, my co-blogger has left town and the writer has caught the cold that she imported from London. Thanks a bunch Lindsey! Anyway, that does give me an excuse to cook the best cure for both the common cold and the late Autumnal blues – Eastern European style Jewish Chicken Soup. It is one of my family’s favorite seasonal broths, rich fragrant and a meal in a bowl, especially when served with the chicken and vegetables it was made with and a few delicious thread egg noodles and Matzoh Balls (a sort of Jewish dumpling)! Serve piping hot in a deep bowl with Matzoh balls and some thread egg noodles. Cold fixed, blues cured, or is it the other way round? 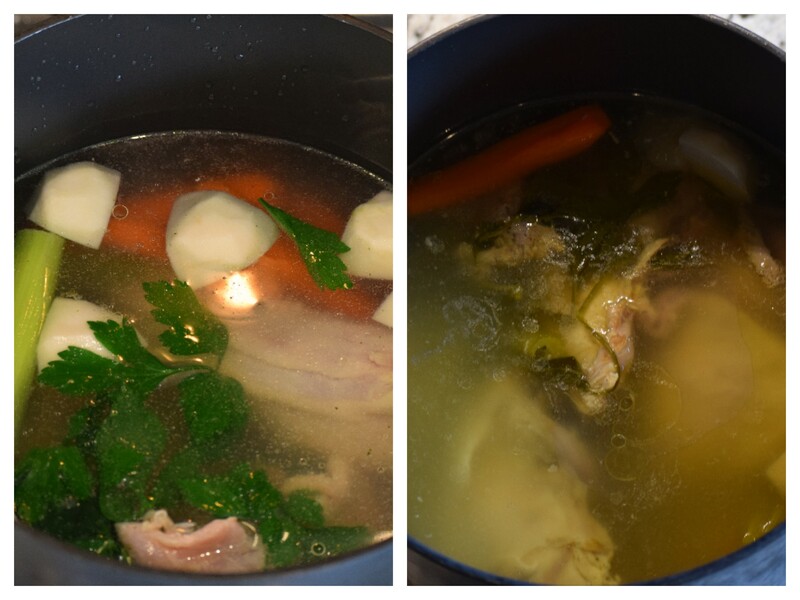 I like your chicken soup recipe and its similar to my grandmother’s – except for the turnip and the chicken stock. But I never use chicken stock and don’t know the reason why its needed as you have a whole chicken there to get the flavouring from. Same when there is meat cooking and you add meat stock. Bought stock in whatever form usually contain lots of chemicals and in my opinion are totally unnecessary. There are lots of ways to make a dish tastier naturally. Hi Linda, Many thanks for your interesting comment. Perhaps I should have made clear on the recipe that I wasn’t recommending the use of purchased Chicken Stock (unless it was organic and free from chemical additives). I normally use a stock that I have hand made previously from raw ingredients and which I’d frozen for future use. The intention of using such a stock was simply to intensify the flavor of the soup but of course the recipe works stock free too, as you indicate. Indeed, if you cook the broth for even longer than I suggest, the flavor will intensify naturally.